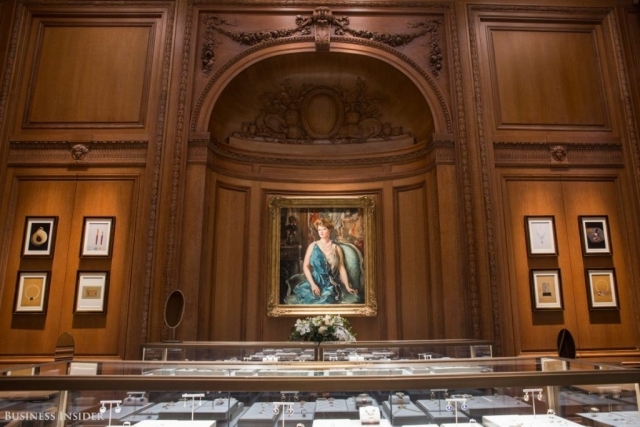 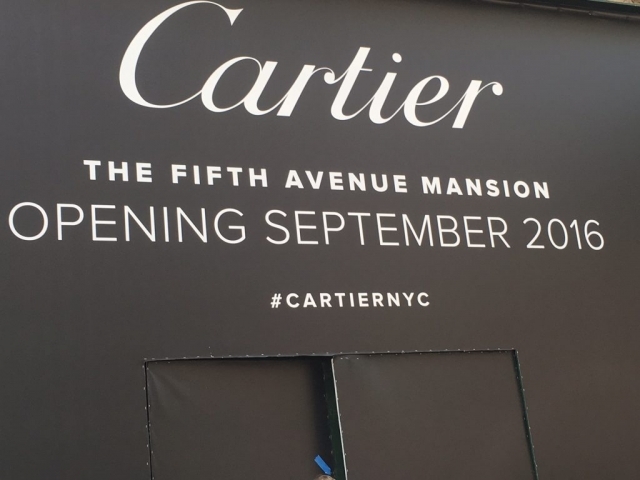 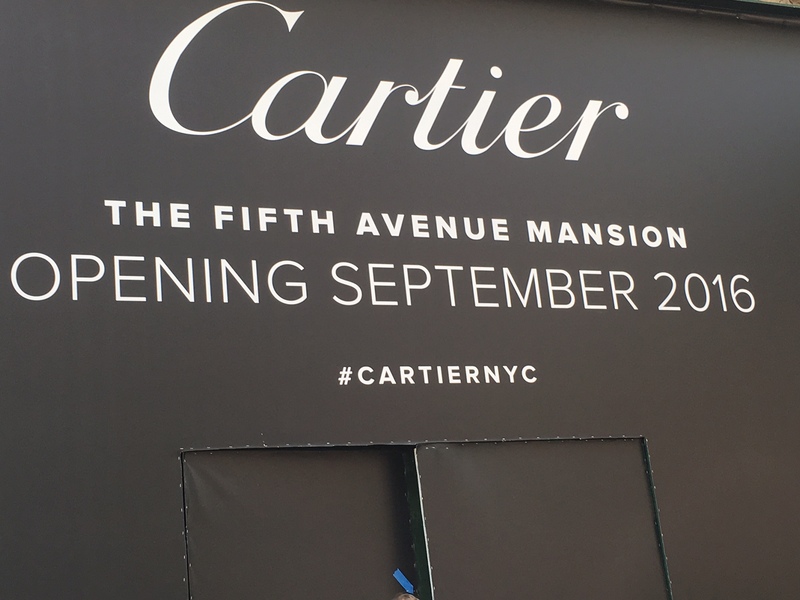 The Cartier Fifth Avenue Mansion, the last remaining of the historic Midtown mansions, has been restored to its original 1904 glory. 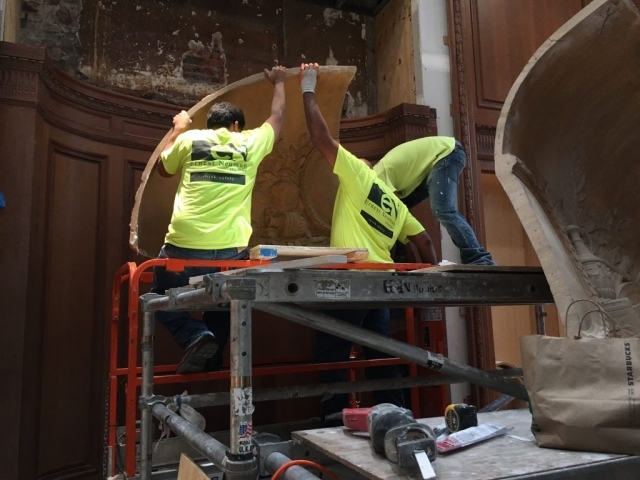 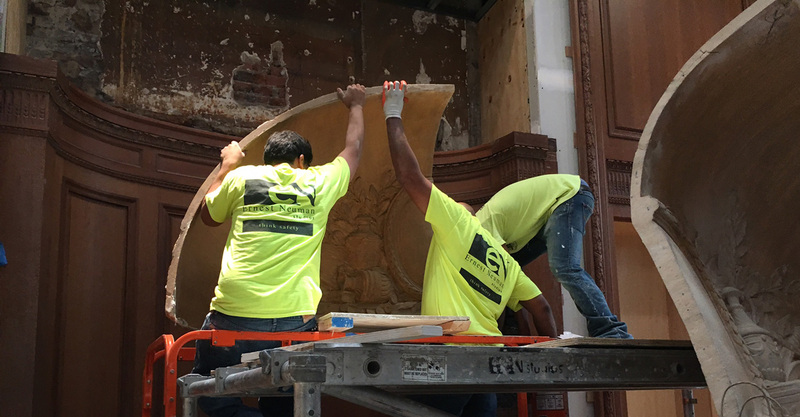 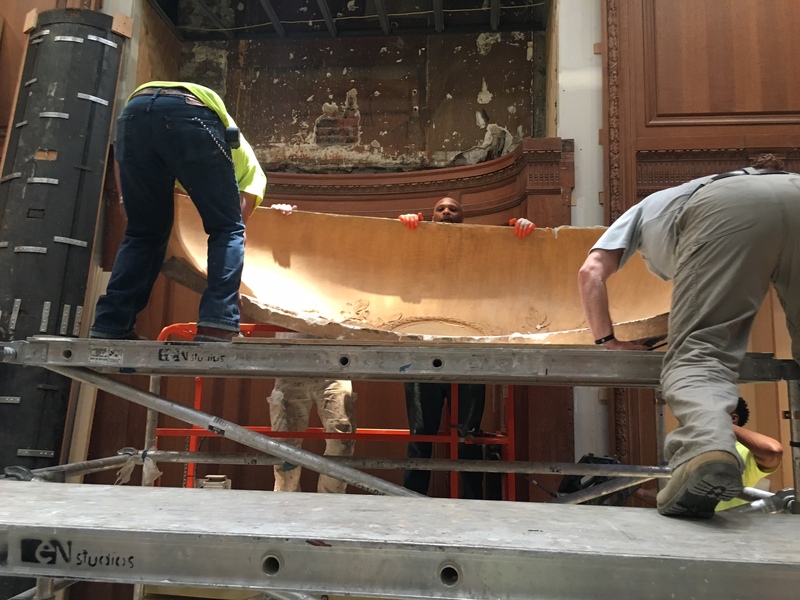 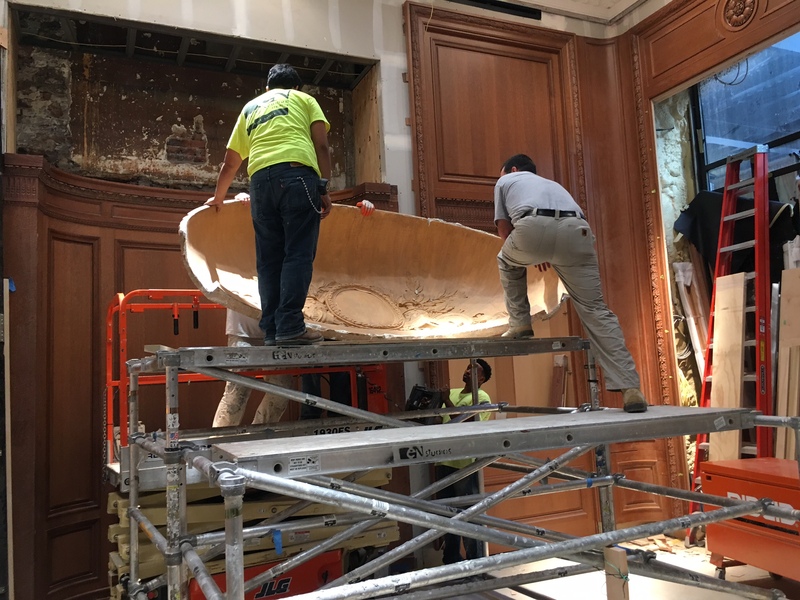 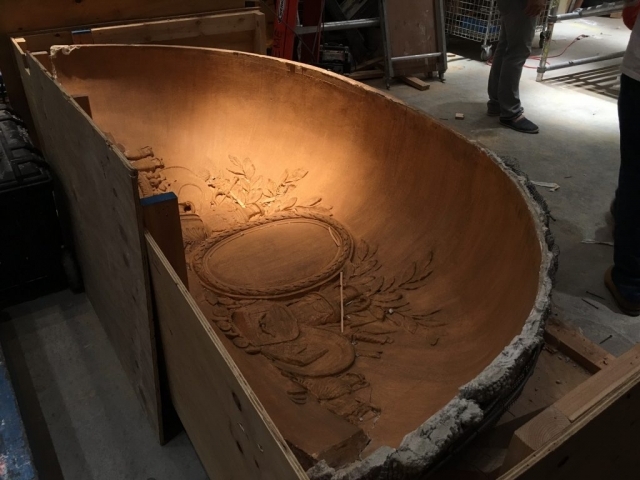 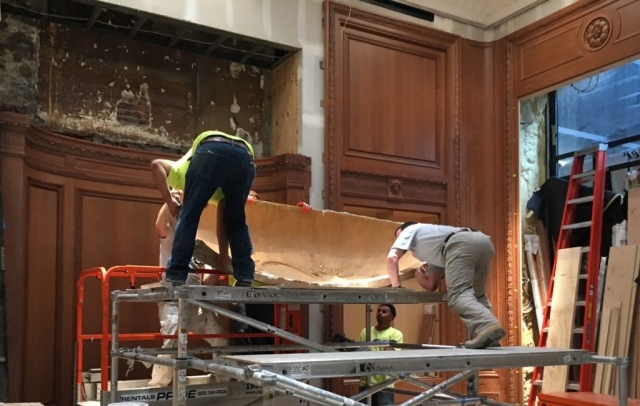 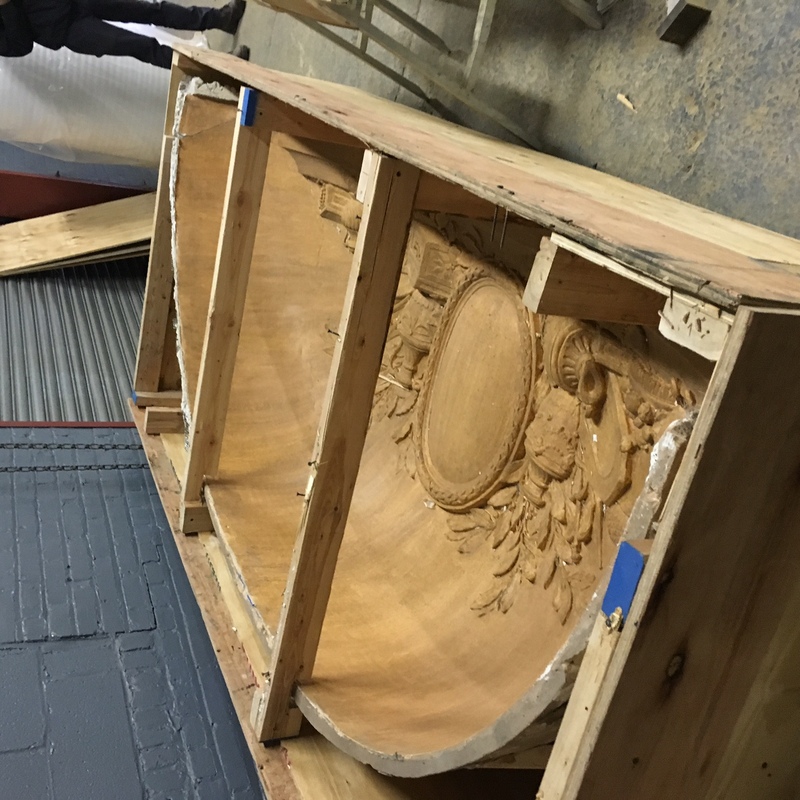 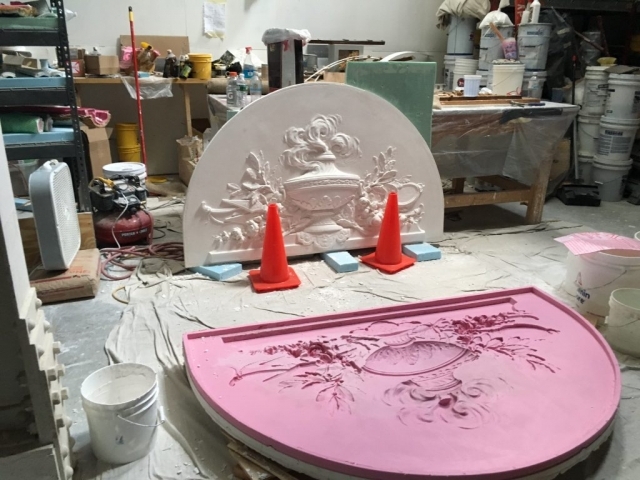 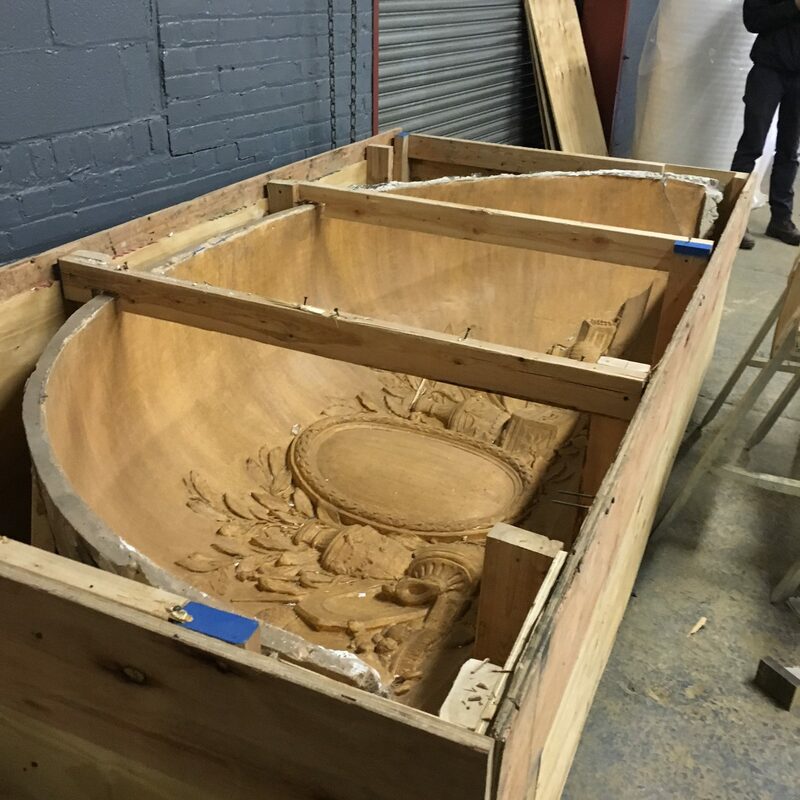 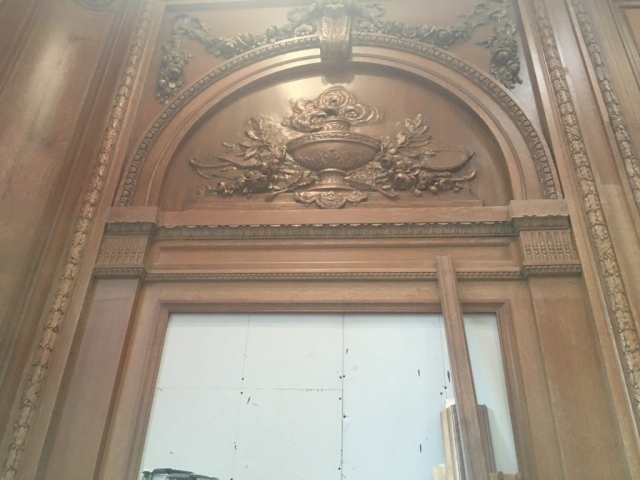 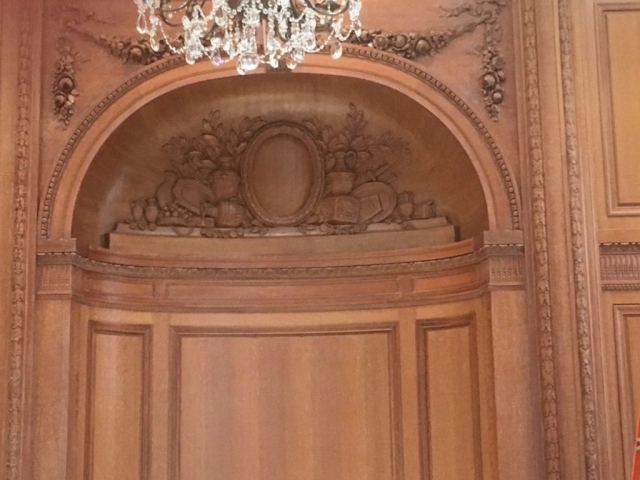 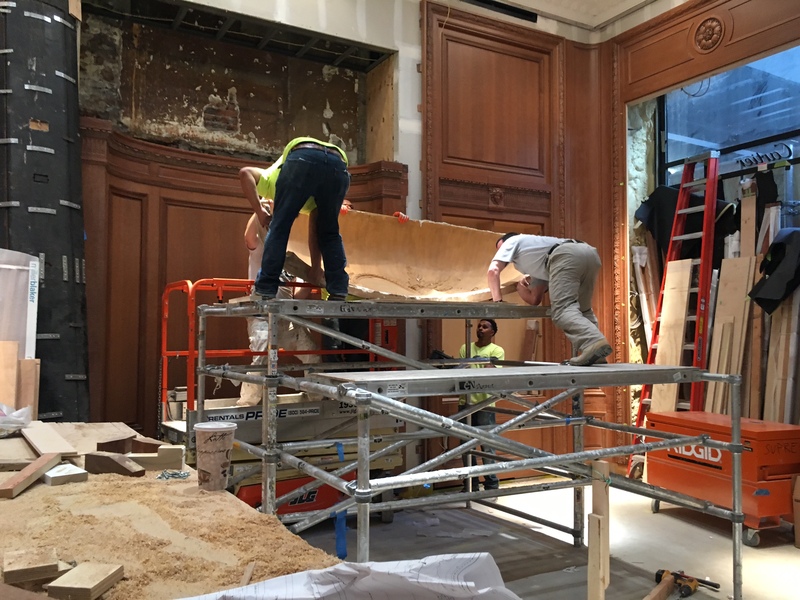 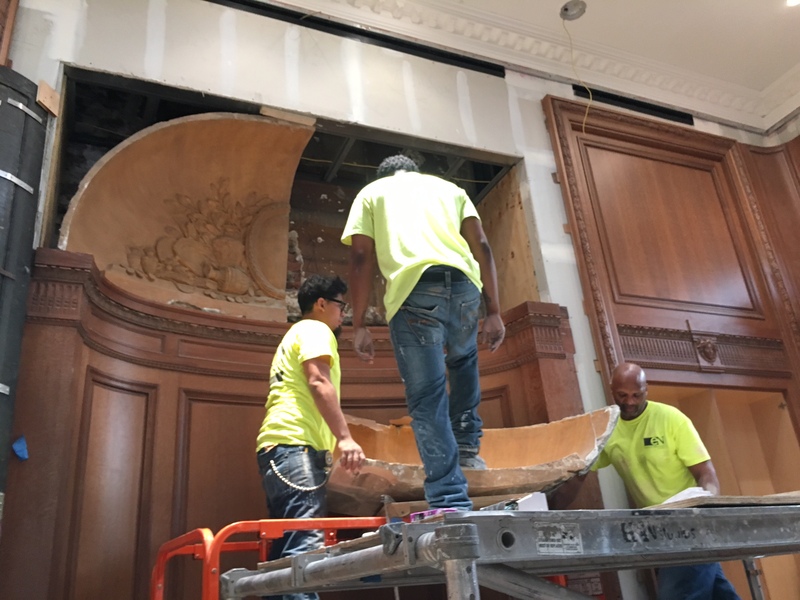 Ernest Neuman Studios was hired to restore, reinstall, and reincorporate three large plaster ornamental features from the original mansion into the new wood paneled showroom. 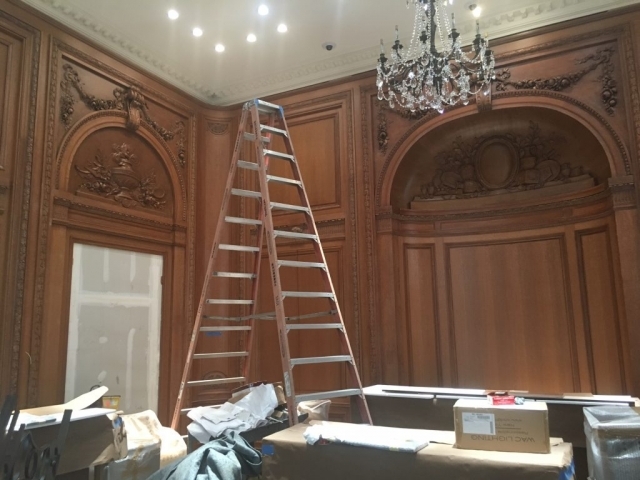 The ornaments were lifted into place and installed with all new mechanical ties which was then painted with faux wood grain to match the surrounding wood finishes. In the Grand Stairs, Ernest Neuman Studios applied a Venetian plaster style artisan plaster to the walls.